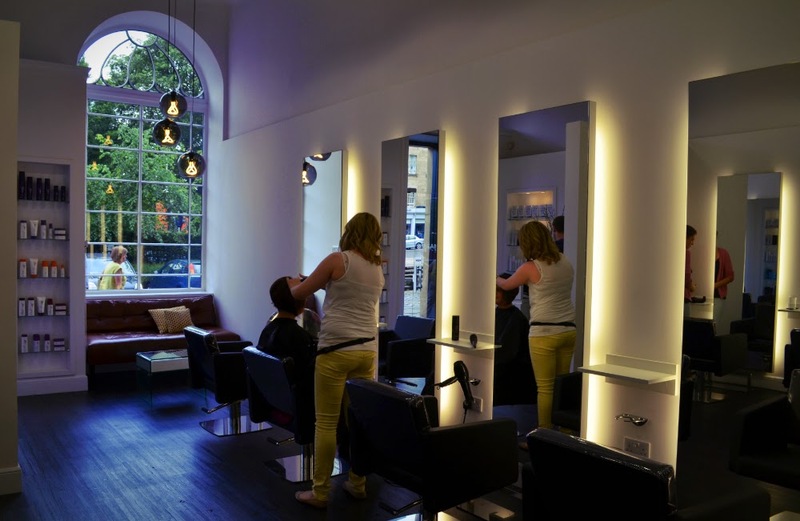 Recently I was invited along to Dean Jones Hairdressing, a new Edinburgh hairdresser, to get my hair chopped and try out their salon. Dean Jones is based on Elm Row, which is a lovely leafy street (just off Leith Walk, but tucked back from the busy main road). The salon is a super peaceful spot in a beautiful building, with huge windows, and light bulbs that I seriously want to steal. It was a super sunny day when I headed out for my appointment, so I was dressed for summer and COMPLETELY unprepared for the downpour of rain that soaked me when I was only half way there! I sheepishly limped in, soggy and dripping all over the place (and looking, once again, like the world's scruffiest person), but the staff were all lovely and helped towel-dry me off. Bless them! I had a chat with Dean who was really inspiring. He's wanted to own a salon on Elm Row for years, and it seems like he actually can't believe his luck. We chatted for a while about my hair and what I wanted to do, and it was really good. I recently changed my hair, so I wasn't looking to do anything too drastic, but he (gently) steered me away from my impromptu decision to get an undercut (which in retrospect, definitely needs more than 10 seconds of thought), and suggested some layers to shape the hair around my face instead. 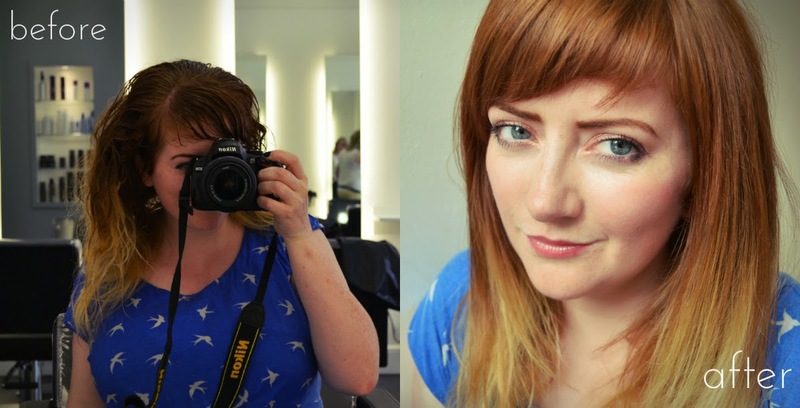 It only took about an hour to go from a drowned rat to a silky haired happy person. Dean explained all the products he was using on my hair as he did it (not that I can remember the names now, but it is useful to see what a proper haircare routine would be!). Good things also included a PROPER head massage that felt like it went on for ages (I'm always a bit disappointed when I don't get to doze while getting my head rubbed at the hairdressers! ); chat that wasn't your usual "got any plans for the weekend?... got any holidays coming up?" nonsense; products for sale, but no heavy sales chat about buying them; a little discount card for repeat bookings; and just a lovely, friendly atmosphere that really put me at ease. Prices start at £25 for a blow dry, £40 for a cut and finish, or £45 for colour. The salon is open Tuesday - Saturday, and stays open late on Thursday evenings. 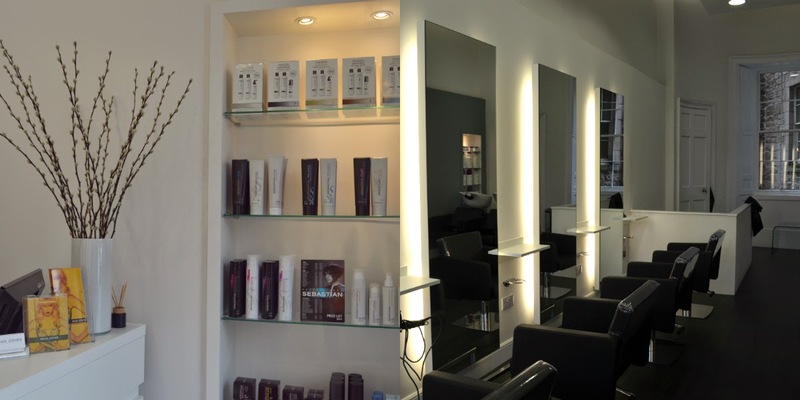 You can book appointments by calling 0131 558 7777 or by emailing info@deanjoneshair.co.uk. You can also keep in touch with them on facebook or twitter!